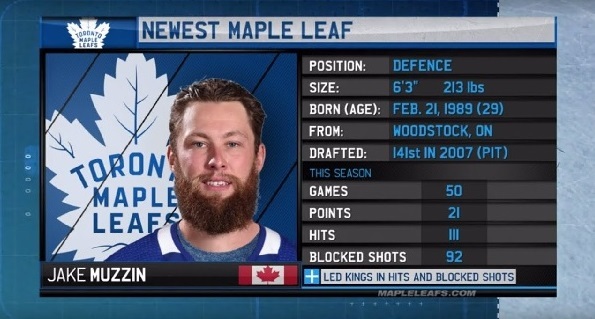 Five days ago, the Toronto Maple Leafs completed a trade with the Los Angeles Kings for Jake Muzzin. The stay-at-home defenseman is a piece that contributes to the Achilles Heel of the Toronto Maple Leafs. By trading for Muzzin, the Leafs receive a bona-fide top-four, heavy-hitting defenseman; however, the question begs: does the Muzzin trade make Jake Gardiner expendable? Let’s move past the obvious benefits of the trade, as covered extensively by TSN’s (and personal hockey journalism hero of mine) Bob McKenzie, to paraphrase: the Leafs have managed to plug a hole in their roster that was leading to them losing games; the Leafs did not give up a roster player, and their first rounder is not likely to be a high draft pick for a can’t-miss prospect. Muzzin is signed for another year after this season for slightly less than Jake Gardiner and has playoff experience, having won a cup with the Kings in 2014 after winning three game sevens on the road. Yes, GM Kyle Dubas pulled off a magical trade, and somewhat of a blockbuster, especially if Muzzin re-signs with the Leafs after next season. His veteran presence will likely fill in the gap for a slowing Ron Hainsey, who is now 37 years old. 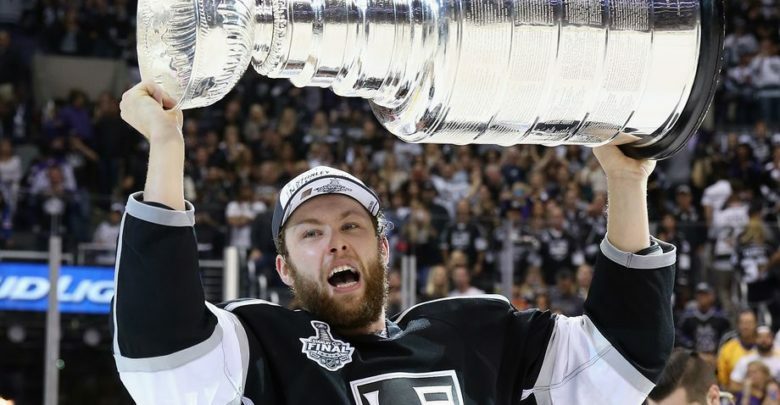 Muzzin, a native of Woodstock, Ontario, grew up idolizing the Leafs, making it another homecoming of sorts, after John Tavares signing in the off-season. This trade goes a long way into making the Leafs a contender, and it comes at a time where fans appear to be turning on defenseman Jake Gardiner, who is an impending unrestricted free agent. With Toronto’s focus on signing Matthews and Marner, trading for Muzzin appears to be headed out of the door in Toronto; but statistically, are they justified in losing Gardiner? Points: Muzzin has amassed 213 points in his career (51G, 162A), while Gardiner has 240 points (44G, 196A), which supports the slight offensive edge that Gardiner has over Muzzin; Muzzin’s best goal-scoring year came in 2014-15, having found the back of the net 10 times, while Gardiner’s was 2013-14, also scoring 10. It is important to note the trends of points, with Muzzin generally having a good year followed by a less good year (40+ points seasons followed by 20+ points seasons), while Gardiner is coming off a career year, having scored 52 points last campaign. Offensively, it appears that Gardiner is on the upswing, while Muzzin has more or less levelled out. Plus/Minus: Career-wise, Muzzin holds the edge at a plus-24 rating, while Marner isn’t terrible either, at a plus-8. This once again supports Muzzin’s role as a defensive-defenseman, more suited to prevent goals than to assist in creating them. Muzzin’s highest plus-minus came in his rookie season (2012-13), setting a plus-16 rating en route to an 8th place finish for Calder Cup considerations. Gardiner’s high was in 2016-17, where he set a plus-24 rating. As for the lows, Muzzin’s was in 2016-17 (-21), and Gardiner’s was 2014-15 (-23). Muzzin has five completed seasons with a plus rating, and is tracking to have a sixth this season, while Gardiner only has two and is tracking for a third. Other traditional defensive metrics: the ideal defenseman not only prevents goals and breaks out easily, but also blocks shots and hits hard. Muzzin is known for his heavy hitting ability, having amassed 1,087 hits through his career, while Gardiner has 537 (again not surprising based on their very different roles). Muzzin has also blocked a lot more shots (playing under defensive-heavy Daryl Sutter), having blocked 695 shots to Gardiner’s 578. Possession Metrics: Based on the above-noted, we should expect Gardiner to have a lower Corsi%. For you lovely guys and gals who don’t remember what Corsi is, here it is briefly explained; but in summary it is a percentage of all shots taken in a game, and the proportion of those coming from your team when you’re on the ice vs. theirs. The statistics are a bit telling though, with Muzzin and Gardiner having very similar career Corsi% at five-on-five (Muzzin’s 56.4, Gardiner’s 53.6), meaning despite their very different playing styles, they are just about equally effective at shot suppression in their end, while promoting offense on the other end. Following up with Gardiner’s boo-birds, Muzzin’s possession statistics (giveaway to takeaway) are markedly worse than Gardiner’s — Muzzin has 95 takeaways to 411 giveaways, while Gardiner has 250 takeaways to 520 giveaways. While the mistakes Gardiner has made over time have been costly (and he has assumed responsibility for them), statistically, he is about as good a defenseman as Muzzin.